We celebrated Grandma's birthday with a lunch at the MayflowerCorner Restaurant at the Nanyang Technological University's Staff Club. We visited the new School of Arts, Design & Media. 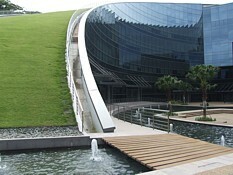 Jin, Janet and Kwok Lum all graduated from NTU. Chinese New Year is around the corner so it's our annual spring cleaning time with the Singapore Adventurers' Club again! 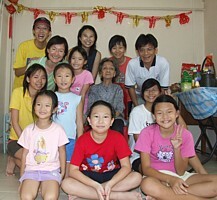 This year, we helped an 84 year old lady who lives alone at Bukit Merah to totally renew her entire home. 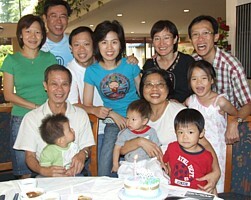 Denise, Branda, Ming Chih, Ming Ting as well as Aunties Esther and Wai Lan, and Uncle Edward all came to help out. It was a meaningful morning with tons of fun! 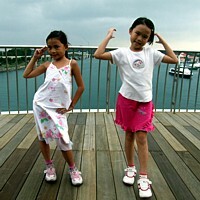 Daddy Alvin cleaned the toilet, Mummy Jin scrubbed the kitchen, all the kids washed the floor. 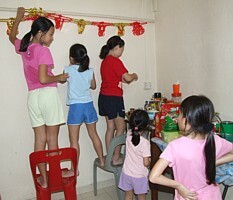 Finally, we worked together to decorate her home to enhance the Chinese new year mood. We all worked hard and thoroughly enjoyed the opportunity to contribute our time and effort to bring happiness to the elderly lady of the house. The teamwork was fantastic and fun. 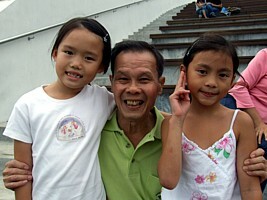 Thanks to Michael Chng and Cecilia Ong for organizing this clean-up good deed every year. 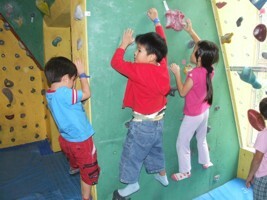 It's climbing fun for the families again. 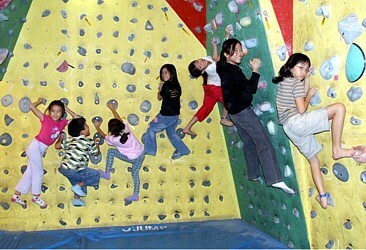 Today was probably the nosiest day recorded at the Indoor Bouldering Gym @ SAFRA Yishun... with us kids climbing, dashing and yelling about the entire afternoon! 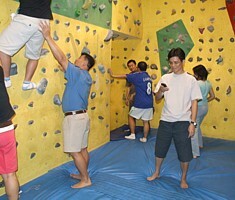 The parents were mainly supervisers who only stood around and instructed but couldn't climb for nuts. Of cos we are grateful for them bringing us there. Oh my, Uncle David was touching someone's bum... Hehe! 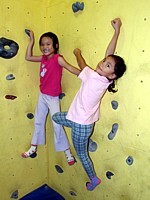 My best friend, Ran Xuan, had her taste of climbing for the first time. I think she has now caught the climbing bug too! 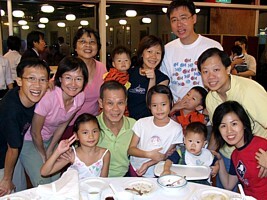 We celebrated Grandpa's 70th birthday at the Imperial Herbal Restaurant at VivoCity. My best friend, Ran Xuan, joined us for the family dinner.